Caroline has been practising exclusively in family and family-related civil law since September 2010. She has appeared in matters before all tiers of the Family Court, representing clients in care proceedings, intractable contact disputes, private children-law matters and family. She has represented clients on appeal, including appeals to the Court of Appeal. 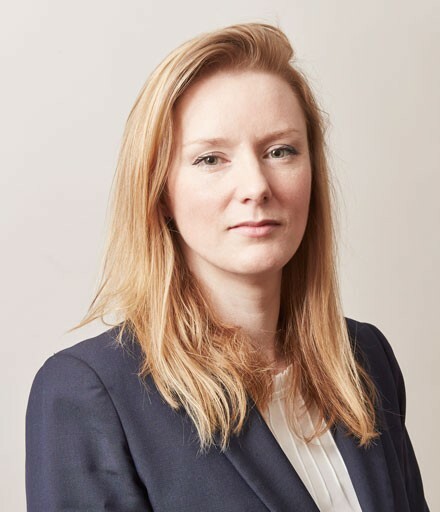 Caroline has represented clients with learning difficulties and limitations to their physical capabilities, who lack capacity, and she has been involved in cases where a party requires reasonable adjustments or accommodations in order to participate fully in proceedings. She has considerable experience in cross-examining expert witnesses and those who are more vulnerable, including children and the victims of physical and sexual assault. She is experienced in working with litigants in person, both as an opponent in family and criminal law and in work she has conducted for the Bar Pro Bono Unit. Caroline has been instructed in complex care proceedings before the High Court and at circuit judge level, on issues including jurisdiction and fabricated or induced illness (FII). She has represented local authorities, the child/ren (as instructed by CAFCASS), and parents. She has made applications to determine the designated local authority responsible for care and supervision orders; applications for enforcement under the Children Act 1989; and applications for disclosure from the criminal to the family courts (on behalf of parents, CAFCASS and local authorities). Re B (a child) (residence order: transfer of child to grandmother)  EWCA Civ 858: Representation of the father in an application made by the paternal grandmother for residence in an intractable contact dispute between the mother against the father and grandmother. The mother appealed the decision of the County Court to transfer residence to the paternal grandmother. The father had previously been subject to domestic violence allegations and the appeal followed a 6-day trial which involved legal argument on the issues of special measures for vulnerable witnesses, and issue estoppel. Re A (unreported), Court of Appeal, May 2014: Successfully applied for permission to appeal the order of a Recorder in relation to the making of a sole residence order to the father, transferring residence from the mother. Appeal adjourned by the Court of Appeal on the day of the hearing for mediation. Case subsequently settled. Caroline has presented training for barristers and solicitors in relation to the Family Procedure Rules and hair-strand testing in care proceedings. She is involved in the organisation of training events for the Family Law Bar Association in her capacity as secretary for the Yorkshire region. Caroline may accept Public Access work where she can be instructed directly by a member of the public rather than a solicitor. We are delighted to welcome back Caroline Shields to our Family Team following her maternity leave.